Jake Arrieta has always been able to throw a baseball better than most. The challenge is figuring out how, and why, he's becoming a star now. Reprinted, with Adam's kind permission, from his personal website. I’ve been thinking a fair amount lately about the Durham Bulls team of 2009, the first team I ever covered. Not the best, but certainly the most interesting player on that team, was Justin Ruggiano. Ruggiano was a decent player—by which I mean one of the thousand best in the world—who needed to get out of the Tampa Bay Rays organization in order to make a few million dollars in the major leagues. I think I learned more about the difference between the majors and minors from watching him play, and from talking to him, than from any other player I covered in six years in Durham. It wasn’t just that “half this game is ninety percent mental,” as the famous Danny Ozark or Yogi Berra baseball axiom has it. It had something to do with attitude, and personality, and with taking it personally. I’ll probably write more about that, and Ruggiano, later, but the reason I do so now, as nothing more than a preface, has to do with the first time I saw attitude and personality and taking it personally in true action on a baseball diamond. It was something that happened between Justin Ruggiano and Jake Arrieta in 2009. In July of that season, the Durham Bulls were playing at Norfolk, for whom Arrieta was then pitching. I was listening to the game on the radio. Arrieta came inside on Ruggiano and hit him on the hand with a fastball. Even on the radio you could hear that peculiar sickening thud created by the collision of the ball with both flesh and bone. The Bulls’ broadcaster, Neil Solondz, intoned some sepulchral words about the apparent severity of the injury. Ruggiano left the game and went for X-rays. It was the top of the fourth inning with two outs. Arrieta had been in total command to that point, allowing just a single baserunner. That happened to have been a solo home run, but it came on perhaps the only misplaced pitch Arrieta had thrown. He had more or less the same stuff in 2009 that he has now; in Triple-A, that stuff looked like it would have Arrieta, who was then twenty-three, in the major leagues in very short order, and to stay. As Solondz described him, Arrieta had a bit of swagger on the mound. I remember, or think I remember, his picture in the Norfolk Tides’ media guide that year: intense eyes, the same ones he has now. After Ruggiano left the game, though, Arrieta started to show signs of cracking. He threw a wild pitch and walked a batter before getting out of the fourth inning. In the fifth, he allowed a leadoff home run, then walked the batter who had hit the first home run (Elliot Johnson, if you must complete your picture), and found himself in another jam after a stolen base and a sacrifice bunt. He was bailed out by a fly-ball double play to right field—Johnson was thrown out trying to tag up—but in the sixth inning he allowed a hard lineout (to then-teammate Justin Turner, whom he faced in his no-hitter last night) and then three singles and a walk, and left the game trailing. He took the loss. I don’t want to succumb to the correlation-causation fallacy—he may simply have been getting tired by the sixth inning—but if nothing else it was impossible not to at least mark the moment of hitting Ruggiano as the one when Arrieta first began to lose his composure. Less than two weeks later, Arrieta pitched in Durham on the night when Jeremy Hellickson was making his Triple-A debut for the Bulls. Most of my attention was on Hellickson, of course, but in the bottom of the first inning, Ruggiano hit a missile of a homer off Arrieta. Two innings later, in a two-on, no-out jam, Arrieta got Ruggiano to hit into a double play, but with a runner on third he then walked the next three hitters to force in a run. He took the loss again. Meanwhile, Hellickson showed the trademark unflappability that allowed him to succeed with far softer and less impressive stuff than Arrieta’s. According to Ruggiano, Arrieta wasn’t trying to hit him; he was just trying to pitch inside. But it was clear that Ruggiano, like any self-respecting power hitter, took a bit of umbrage at Arrieta’s overly aggressive (and poorly aimed) marking of the inner part of the plate. When a pitcher keeps pushing hitters back so far that he hits them, hitters really want to push back. “I really wanted to get that guy,” Ruggiano said. Get him he did: his blast went way over the Bull atop the Blue Monster and out into the night. “He deserved it,” Ruggiano concluded. A number of things struck me about this. The first one was that Ruggiano not only knew quite well who the pitcher was, he also carried a grudge to the plate with him. This should not be surprising at all, and isn’t, but I had been thinking of Triple-A as a place so dominated by dazing change that hitters and pitchers would forget each other all the time. And because the point of Triple-A, for most players, is to get out of it and up to the major leagues, I also assumed that none of the players had the mental energy to think about settling minor-league scores. And I falsely believed that, because baseball is so cerebral, so stop-and-go, and so daily, then all the games, pitches, and hit-by-pitches must run together, with no continuity, no momentum, no true “narratives”—and no real sense of personality or persona fueling the exchange between batter and pitcher. A hitter may want “to get that guy,” but doesn’t a hitter (and pitcher) want to get every guy with equal measure? Why did Arrieta “deserve” to have Ruggiano hit a home run off of him any more than Todd Redmond deserved to have Ruggiano hit two off of him in a single game that same season? Pitchers pitch inside, or ought to, and even Ruggiano acknowledged that Arrieta wasn’t trying to hit him. Still, he used the moment as motivation. Who knows, maybe that’s why it took Ruggiano so long to break into the majors and stay for a while. 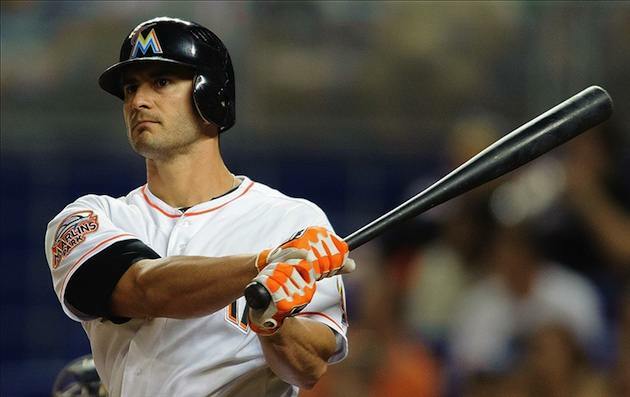 It didn’t happen for him until 2012, as a Florida Marlin. Perhaps it took him that long to get his priorities (or head) straight and stop trying to get revenge on pitchers who unintentionally hit him in Triple-A. That same year, 2012, Arrieta was back in Norfolk. He hadn’t been great in Baltimore in 2011 and then was shut down with an injury that August. He struggled again in 2012 and was demoted to Norfolk in July with a 6.13 ERA. There was a fair amount of chatter about Arrieta’s fondness for a cutter and the Orioles’ demand that he stop throwing it. In late August, he faced the Bulls in Durham, drawing another hot-prospect mound opponent: Chris Archer. The two pitchers hooked up in “probably the best head-to-head pitcher’s duel of the year at the DBAP, maybe even the best of the last two,” I wrote afterwards. It was the same Arrieta: excellent mid-nineties fastball, tremendous slider, good curve. There was a changeup, too, as I recall. I saw that Arrieta in 2009, and I saw him again in Los Angeles last night. he grew tense and rigid. His pitching coach made a mound visit, almost surely just to counsel him not to dwell on the immediate past—or about a couple of close calls he didn’t get—and go after the next guy. Arrieta was more aggressive against Stephen Vogt, but Vogt worked him through eight pitches and drew yet another walk to load the bases with one out. It was almost painful to watch Arrieta, now really looking flustered, walk Chris Gimenez [who had the Bulls’ only hit off Arrieta] on five pitches to force in what would turn out to be the only necessary run of the game. Arrieta threw a wild pitch to score a second run. He took the loss. A big moment, this: Archer was one ball away from bringing the tying run to the plate, in the form of a leadoff walk, right after his teammates churned through a long, high-effort run-scoring inning just before. He was in danger of deflating the hard-won momentum. It’s pretty obvious. I talked to Buck [Showalter] about a few things. We talked about things as far as high anxiety situations, and he pretty much asked me, ‘Why do you have high anxiety in any situation with the stuff that you have?’ Basically, I told him that I just want to be what my team needs me to be. And sometimes I create the anxiety for myself…. As far as my mental approach, I really think it’s just knowing that the past is really irrelevant. It’s about just staying in the moment. I let previous instances creep up in my thought process sometimes. I think that’s where things go awry, and that’s where the walks come in. This stuff is seldom talked about. Maybe that’s because baseball is played with the body, and the mind doesn’t seem like an active part of it. Maybe ballplayers don’t really seem human to us. Maybe, because we can’t quantify it, we feel compelled to leave it out of the equation. The mind is a performance-enhancing drug, except when it’s a performance-diminishing drug. When I am the king of baseball, players will have people they can trust to talk to. 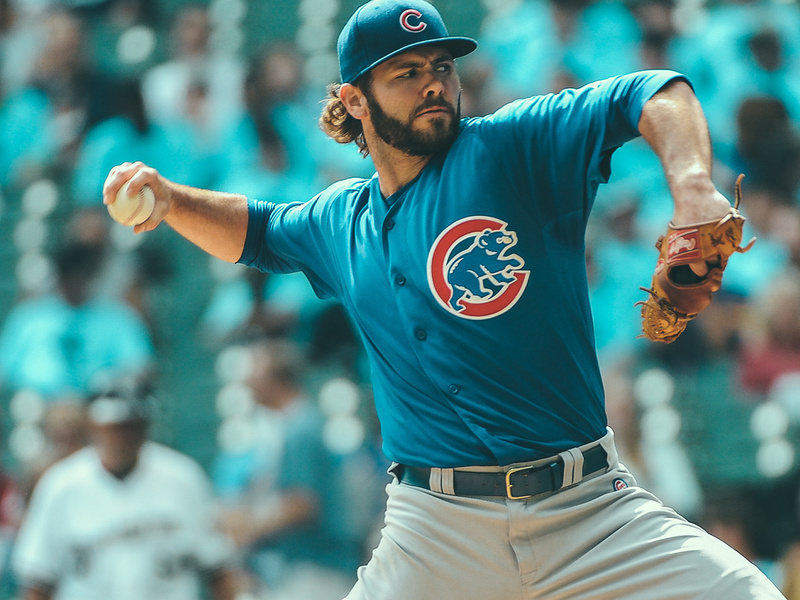 A little over two months after Arrieta talked about his anxiety, he was traded to the Chicago Cubs, with whom he soon began his transformation into one of the game’s best starters. Except of course it wasn’t a transformation at all, not a visible one, anyway. Arrieta was the same pitcher last night, in terms of stuff, as he was in 2009 and 2012. The difference was very obviously more than half this ninety-percent-mental game, which computes to forty-five percent. It was one hundred percent. And as if to underscore that difference, there was Justin Ruggiano retweeting praise of Arrieta on Twitter. After the no-hitter, Arrieta told a reporter that the game seemed to race by in five innings. That seemed like an inversion of the old ballplayers’ adage about “the game speeding up on you,” which is always bad when it happens. But for Arrieta, it was good. He stopped thinking, which of course meant that he was thinking more, because the mental discipline required not to think during the most mentally demanding at-bats—and, frankly, in the most ordinary ones—must be enormous. Staying calm in Durham on a Wednesday night is nothing compared to trying to finish off a no-hitter in Los Angeles with 47,000 people watching and ESPN's cameras rolling. Arrieta did it. He let the game speed up on him. This is all really obvious. Why does it so seldom happen? Both my wife and my ballplayer friend have often warned me, in different ways and with varying directness, against trying to imagine what a ballplayer is ever thinking or daring to speak for him. I really have no idea. 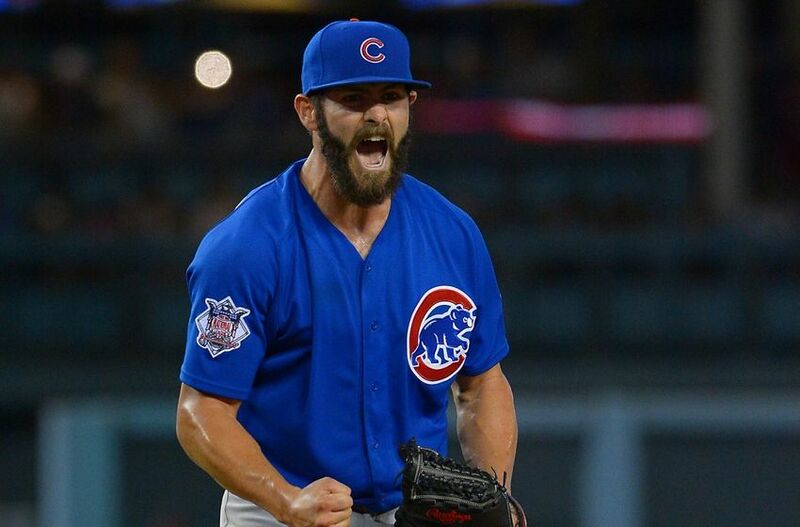 I’ve never spoken to Jake Arrieta, and even if I had I don’t know what was really going on in his mind last night, when he was facing, say, Justin Turner, his old teammate (did he want to “get that guy” or some other? ); or when he had a couple of seconds to himself in front of the mound while he waited for his catcher to thank the umpire and then come out to embrace him at an almost leisurely stride, as though Arrieta had not joined the ranks of the immortal but had simply had a really, really good game—which is all a no-hitter is: a good game without any bad luck in it. That’s what a lot of baseball is: luck, and other things we can’t see or measure because they aren’t things. Those ineffables are what we try for in life: moments out of time, time out of mind. I’ve never played baseball, so I have to think of what baseball players do in terms of what I do, which is write. For me, throwing a no-hitter must be something like what Hemingway said about his best work: “For a long time now I have tried simply to write the best I can. Sometimes I have good luck and write better than I can.” You’re doing the same thing you always do; it just goes a bit better, and you have some good luck. Everything that usually gets in the way in your mind falls away, and the distance between you and the words, the sentences, is erased. You get into a trance, and time flies by. You choose all the right words, or they seem to be chosen for you, and you put them exactly where you want them to go, and they have exactly the right movement and effect and sequence, and you get to the end of the outing without a single blemish. And you don’t get tired. You walk around afterward in a daze, having been for a while in some sort of alternate world where, to use Jake Arrieta’s description, nine innings go by in five, in a blur. When this happens to me, I later find myself wondering how I did it — no, not how, who. I don’t quite feel like the same person who wrote those sentences, or who could have written them. It’s an experience that summons questions of identity, not intention, being, not doing, and it’s an unnerving one. I have to spend some time finding myself again, and sometimes I haven’t quite done it until the morning. What I want to know is what Jake Arrieta was thinking between the moment he put his head on the pillow and the moment when he fell asleep. Adam Sobsey has written about baseball for The Paris Review, Grantland and Baseball Prospectus. He is the principal author of Bull City Summer (Daylight Books 2014), a documentary project about Triple-A baseball; and Chrissie Hynde Up The Neck, a biography of the rock musician due out in 2016-17 from University of Texas Press. Follow him on Twitter.